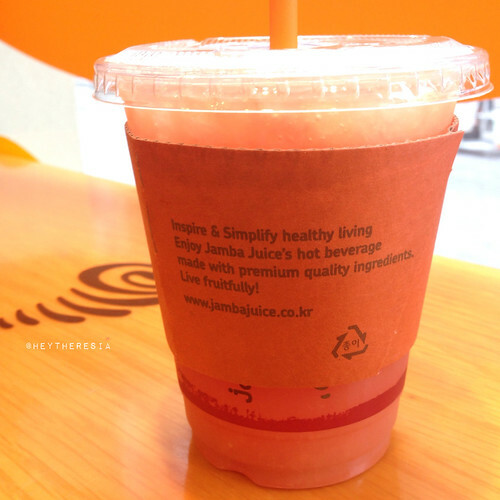 It was about 10 in the morning when I arrived at Myeongdong area, and decided to stop by at Jamba Juice for breakfast. Yes, I usually have a little fruit for breakfast or a fruit juice. I had grapefruit juice while my sister order peach mango smoothies which is on kids menu. 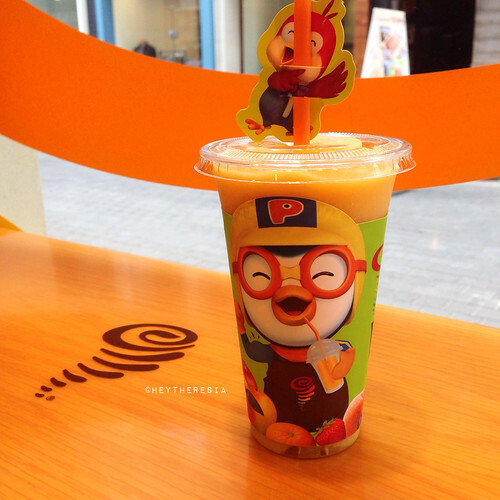 As you can see in the picture there's pororo on that cup, so cute. It costed us about ₩12000 for both drinks. The mango peach smoothies was so good, but I prefer mine the bitter sweet and sour grapefruit juice.